Dairy industry leaders are continuing their push to reposition milk as a convenient and healthy alternative to fizzy drinks. 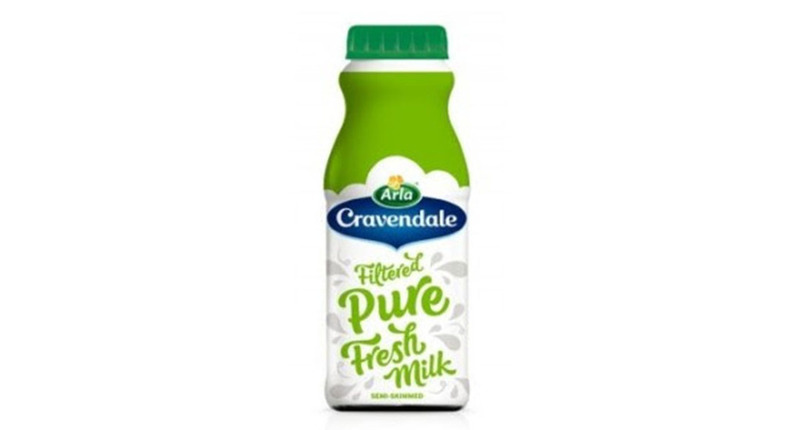 Last week Arla announced its plans to make its 250ml bottle of cravendale a ‘mainstay in the chilled soft drinks aisle’. The bottles were launched at the Co-op in May and will now be stocked in Asda, Nisa and Bestway stores. Stuart Ibberson, category director at Arla Foods UK, said: "Milk is widely recognised as an important part of a healthy and balanced diet, so coming up with a convenient way for people to drink fresh milk is incredibly important. "The smaller format allows Arla Cravendale to be stocked in the chilled on-the-go section at the front of store, challenging soft drinks with this healthy alternative." NFU Scotland has continued to call on the big supermarkets to place dairy alongside soft drinks following a successful campaign from a Devon farmer at her local Tesco. The union’s policy manager John Armour said he had received a commitment from Asda and had also had positive discussions with Morrisons. "There is a strong argument for milk and the health benefits of it alongside fizzy drinks for those meal deals and lunchtime deals which people go into supermarkets for," he said. Muller has also identified milk drinks as an area for growth in its £100 million innovation fund, building on the success of its Frijj milkshakes. It is part of a wider attempt to change the perception of milk to a healthy alternative. Fizzy drinks have recently been targeted by the national ’war on sugar’. In 2011 the Make Mine Milk campaign attempted to change the perception of milk for young people with a celebrity led promotion which emphasised the health benefits. The campaign increased consumption of milk among teenage girls by 18 per cent. Chris Linsell, client service director at Kindred, the agency behind the campaign, said retailer support had been ’like gold dust’. "I think it can only be a good thing for milk to be seen by consumers in a new format and position within supermarkets," he said. "Whether it will be a profitable venture will be up to how kind the retailers are." "Any sort of increase in shelf space is good," said Mr Robinson. "People grab water without thinking about the price. If they can see they can get milk for the same price as water, it can only be a good thing. "We farmers have got to be progressive. Farmers have got to do as much positive promotion as they can. We can not just sit back and let it go down its own path. We need to drive it forward and try and persuade whoever is buying your milk to add these premiums to it."